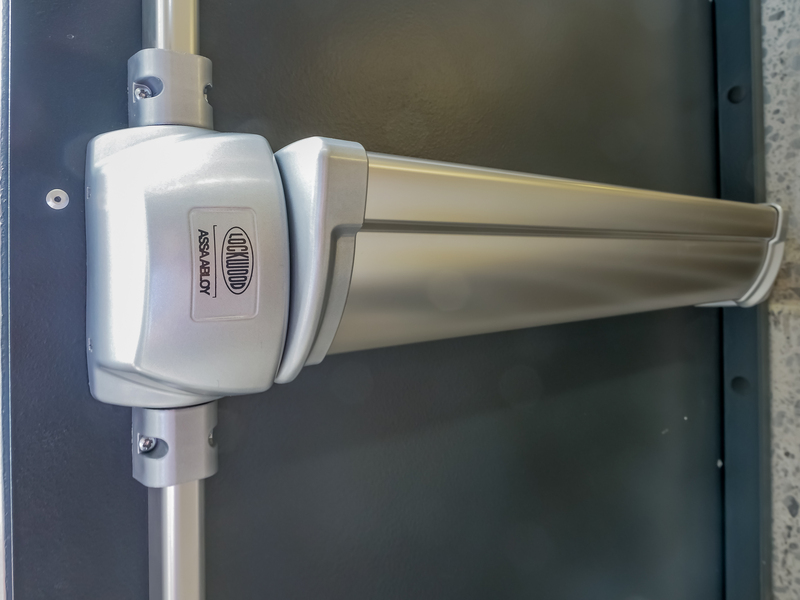 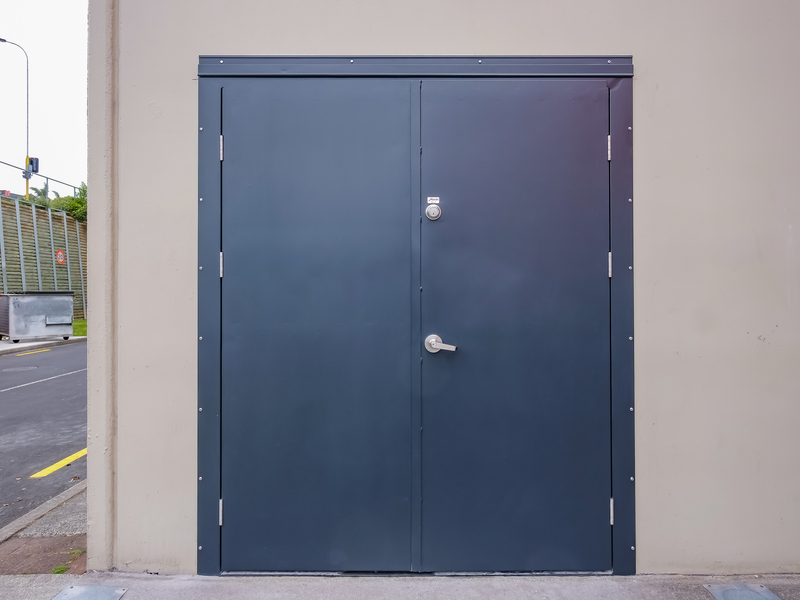 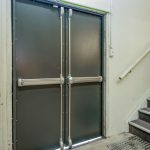 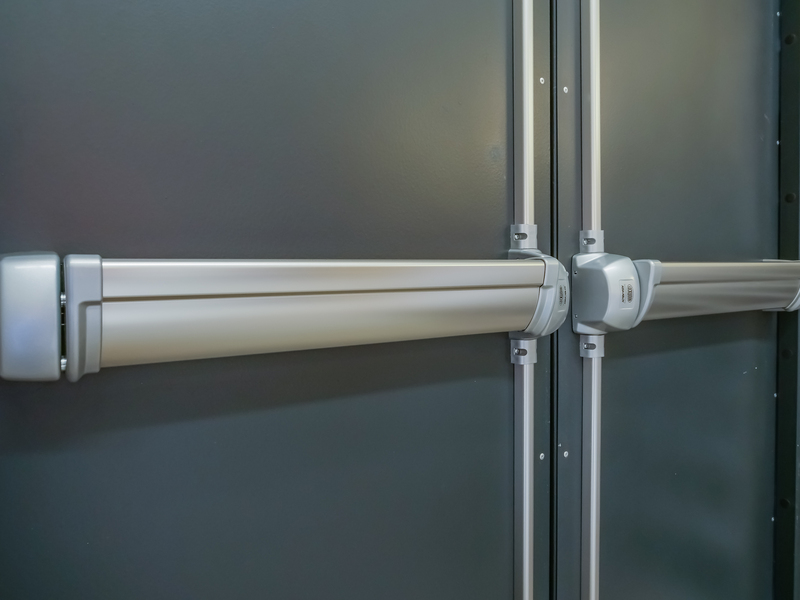 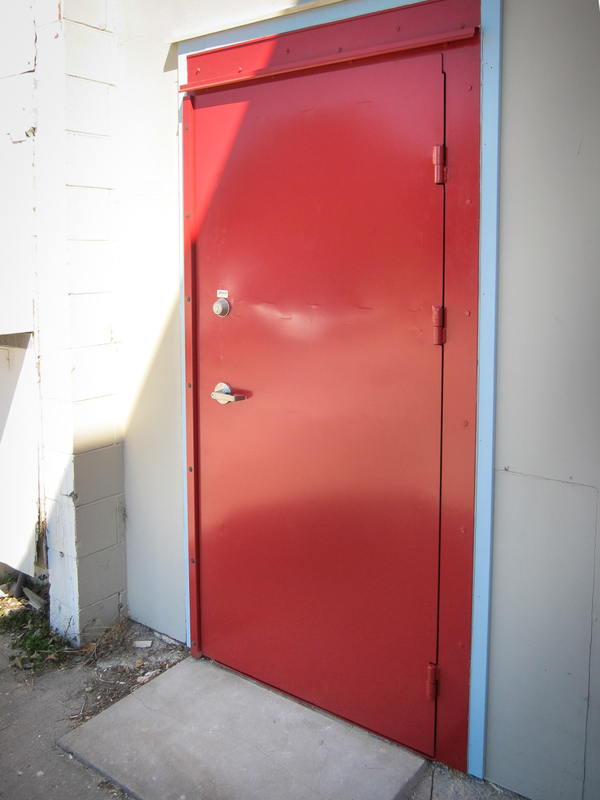 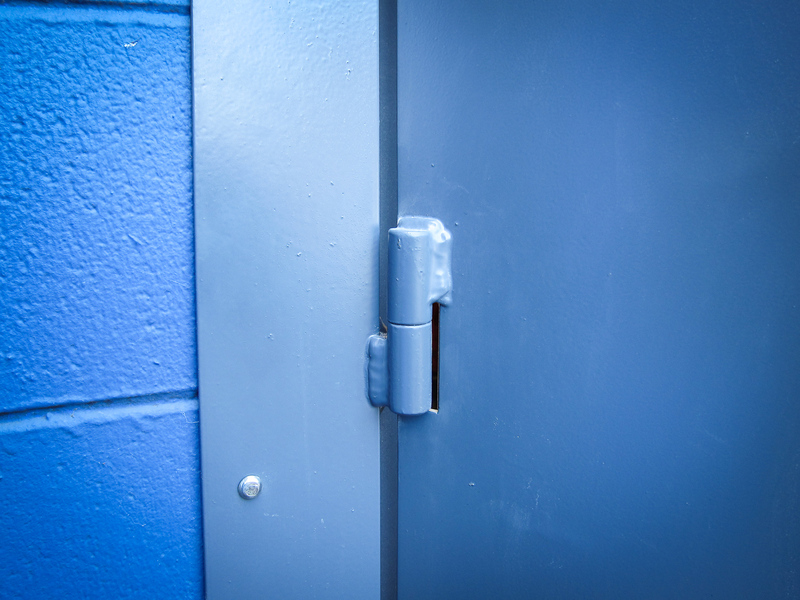 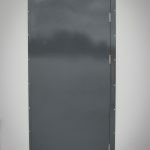 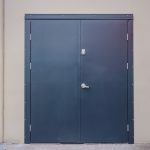 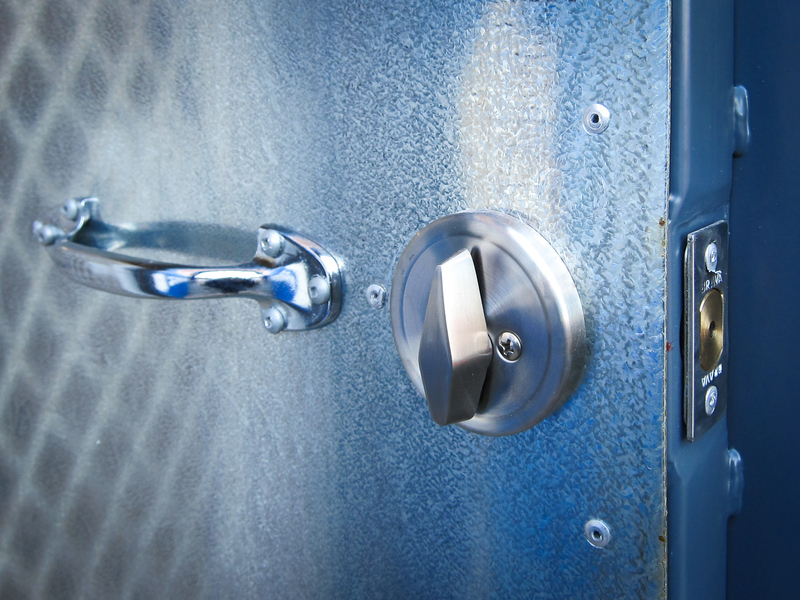 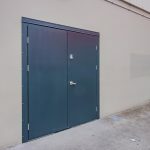 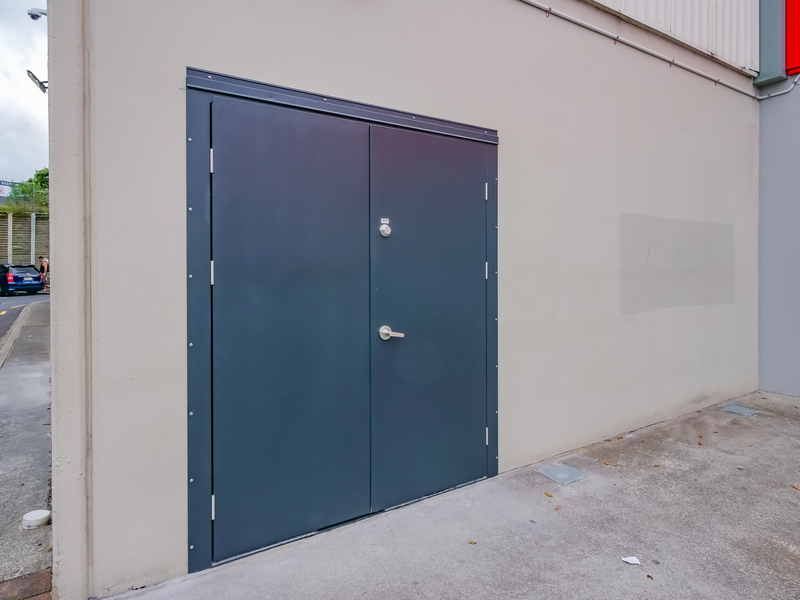 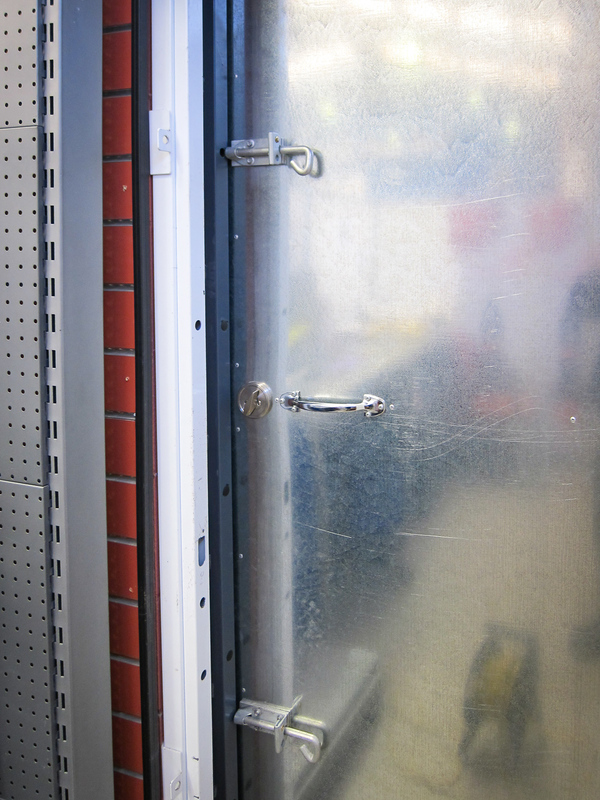 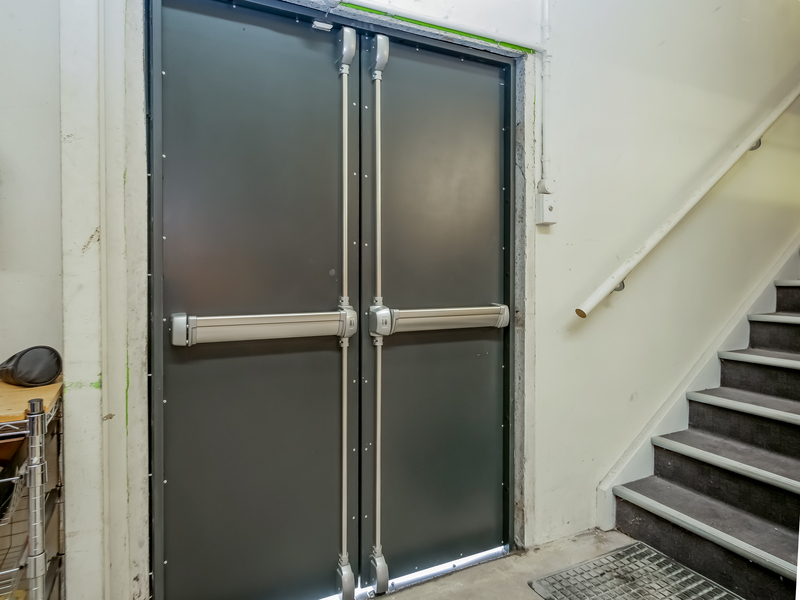 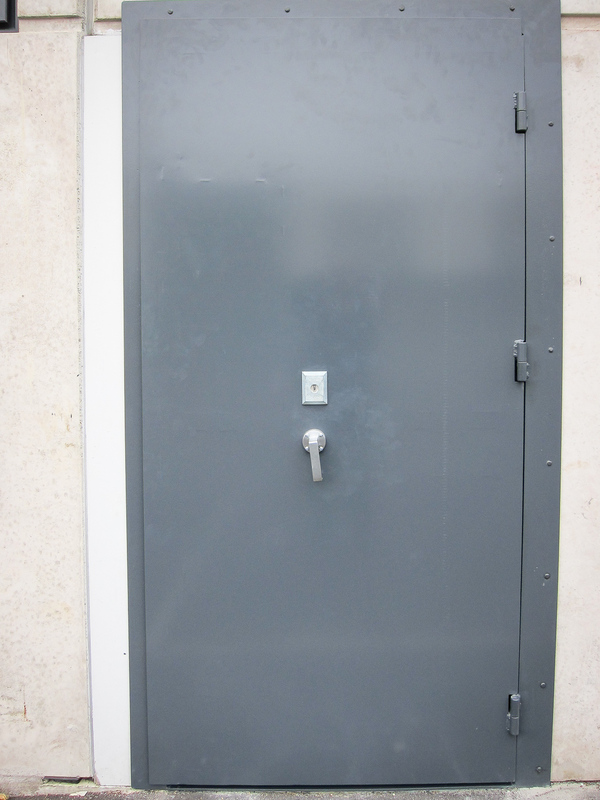 Xpanda solid steel doors are the ultimate security doors built super tough. 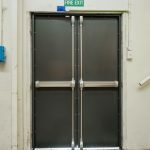 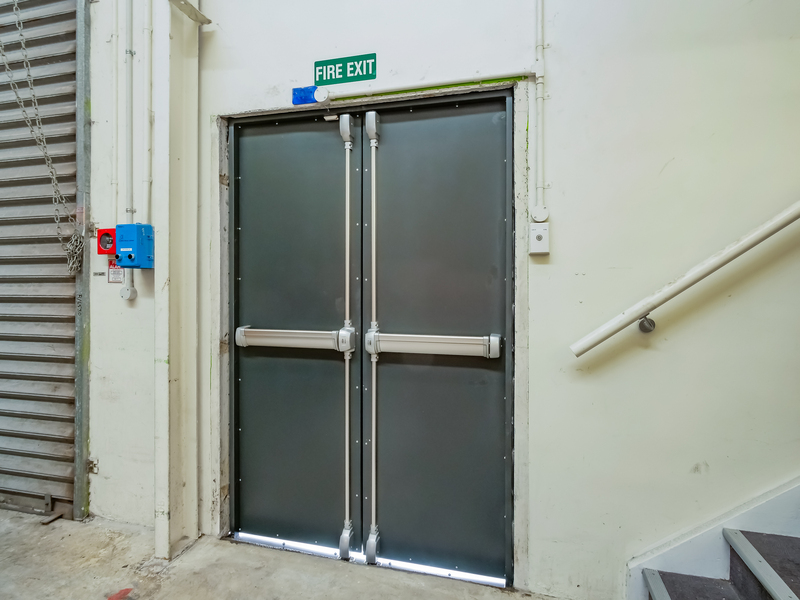 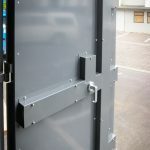 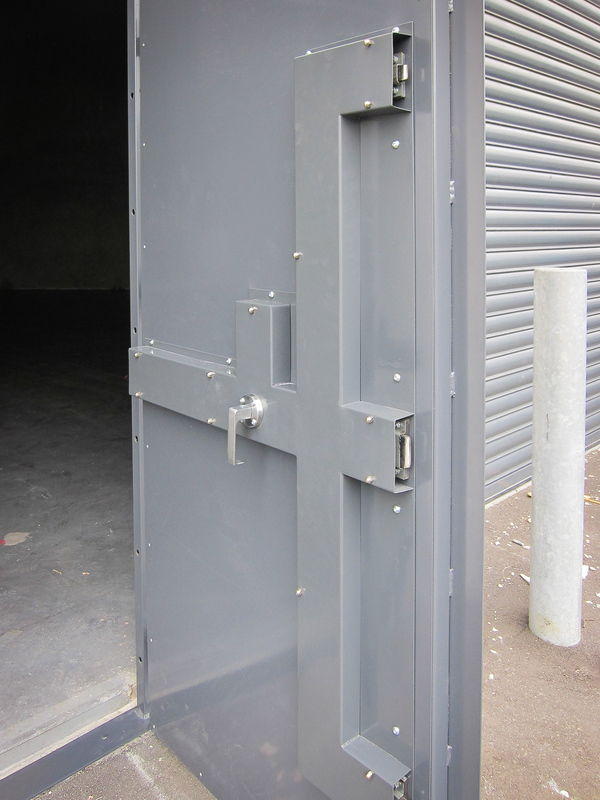 The door is built on a 40mm square welded tube frame with cross bracing. 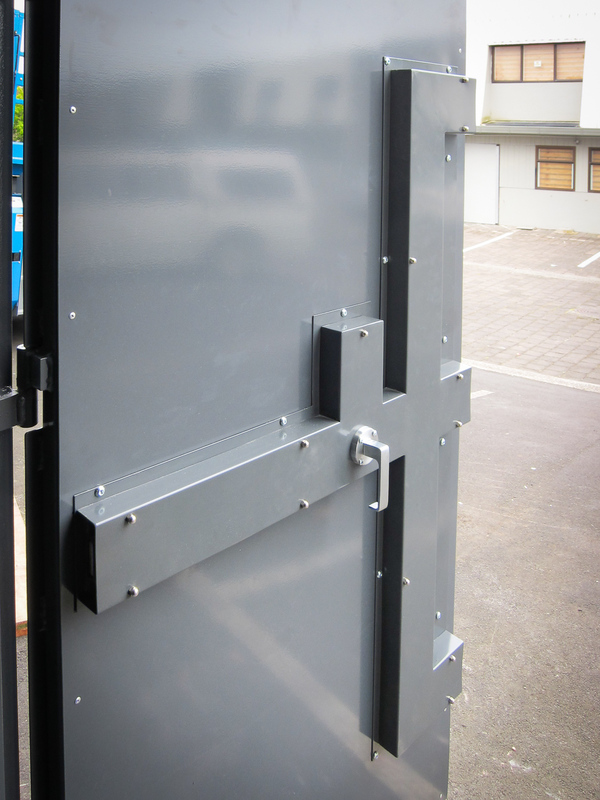 The outer 3mm steel skin is also welded to this frame and a 50X5mm anti-jemmy strip is welded on the lock side. 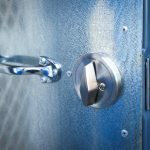 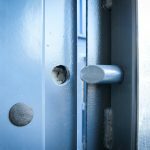 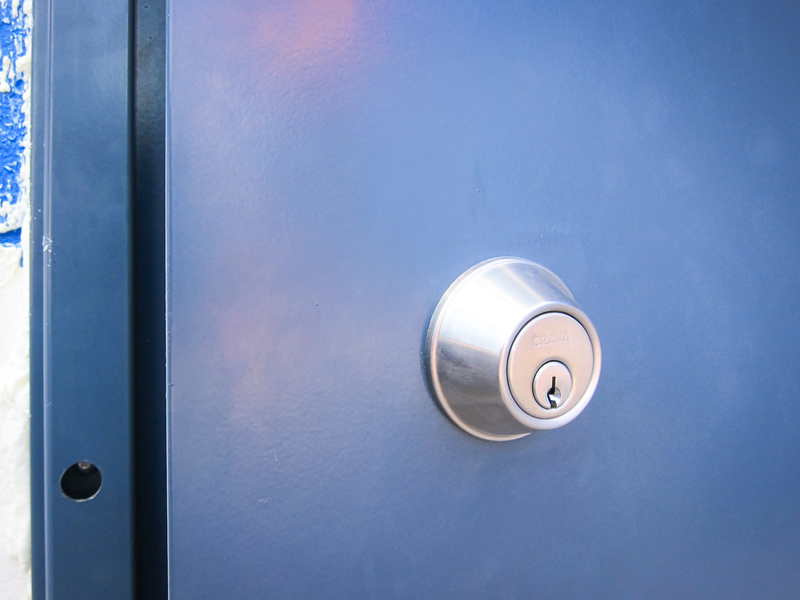 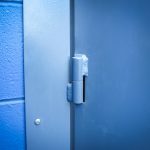 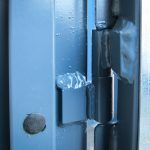 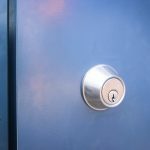 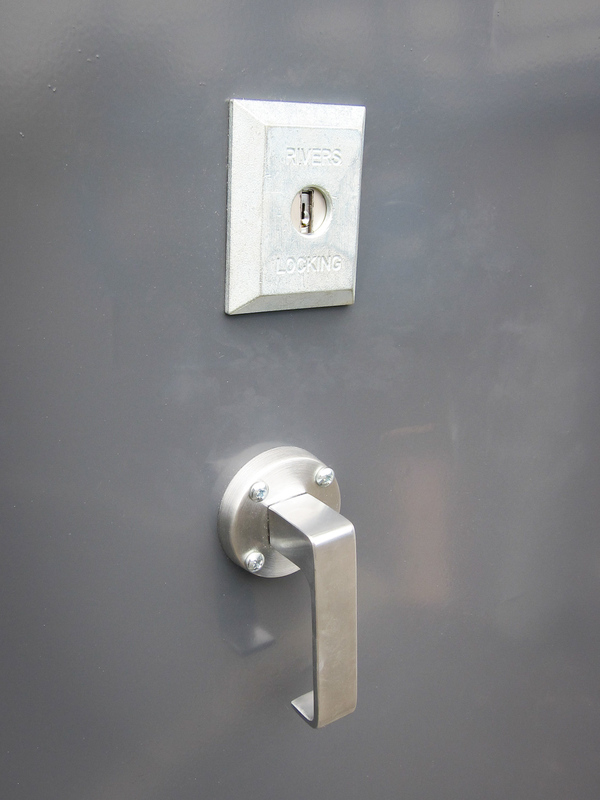 Various locking options from code locks to deadbolts can be fitted during the manufacturing process, depending on client requirements. 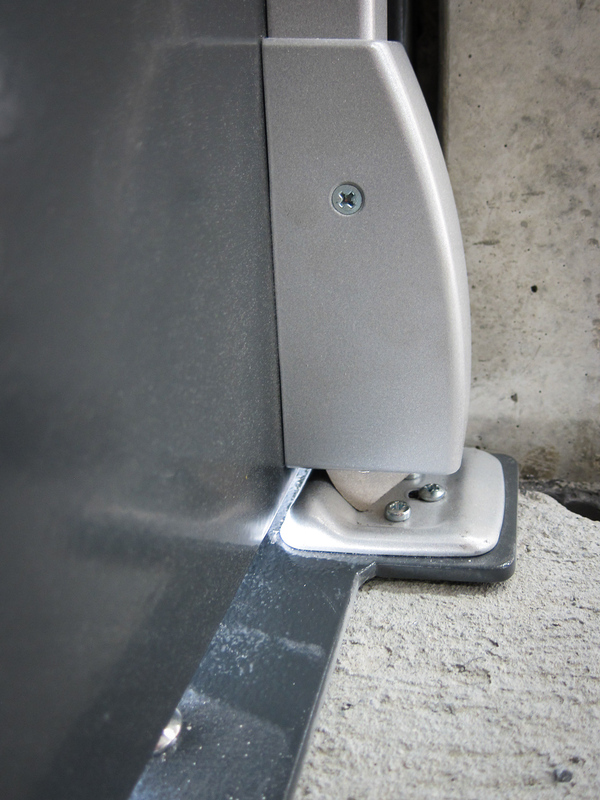 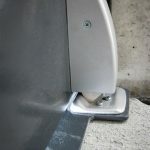 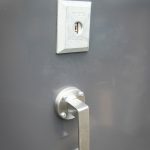 Hinge protection pins are welded on the hinged side of the door. 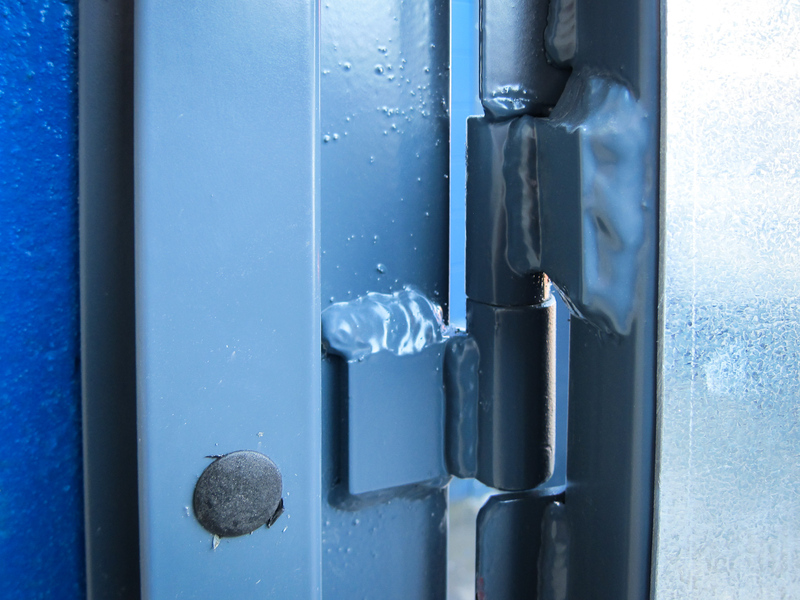 These pins locate into the jamb frame when the door is closed. 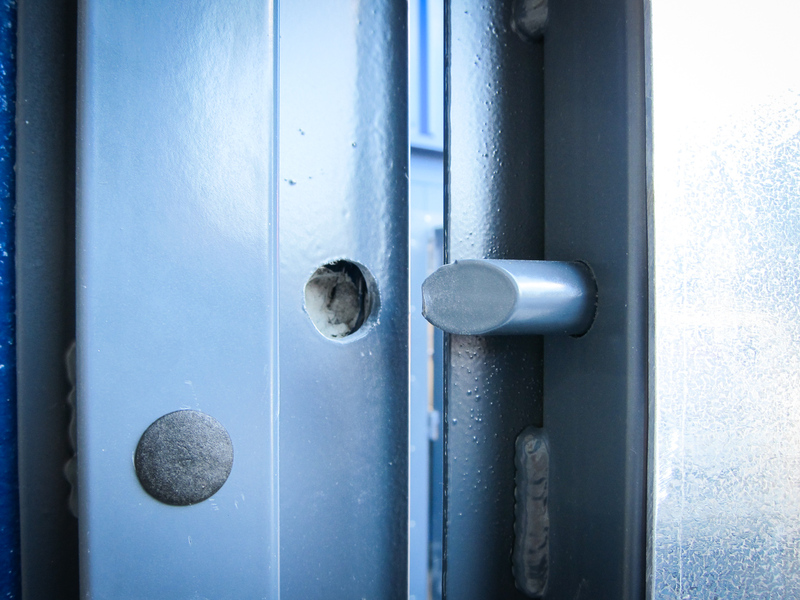 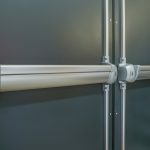 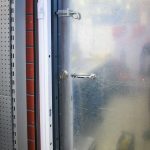 Should the hinges be tampered with the door cannot be forced open on the hinged side because of these pins. 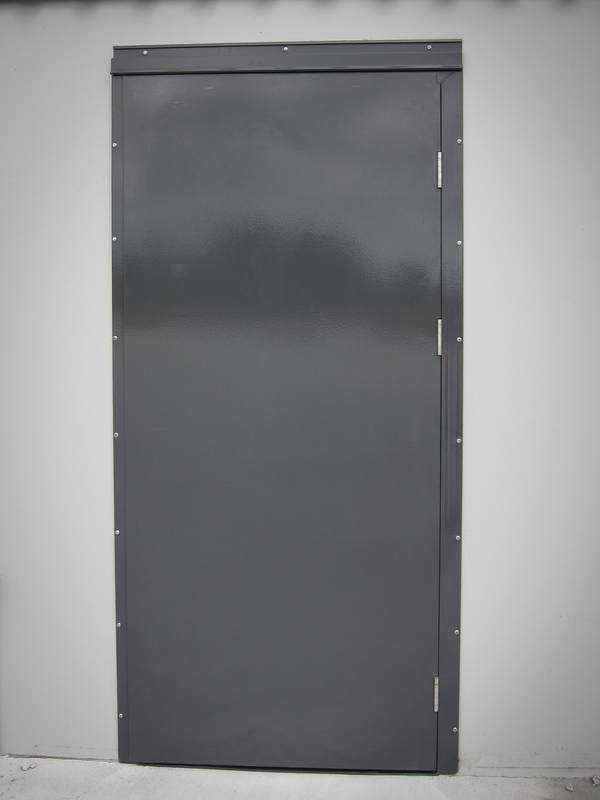 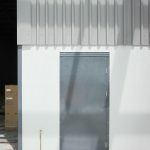 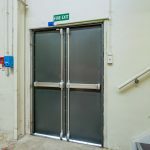 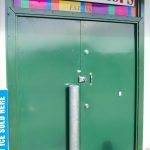 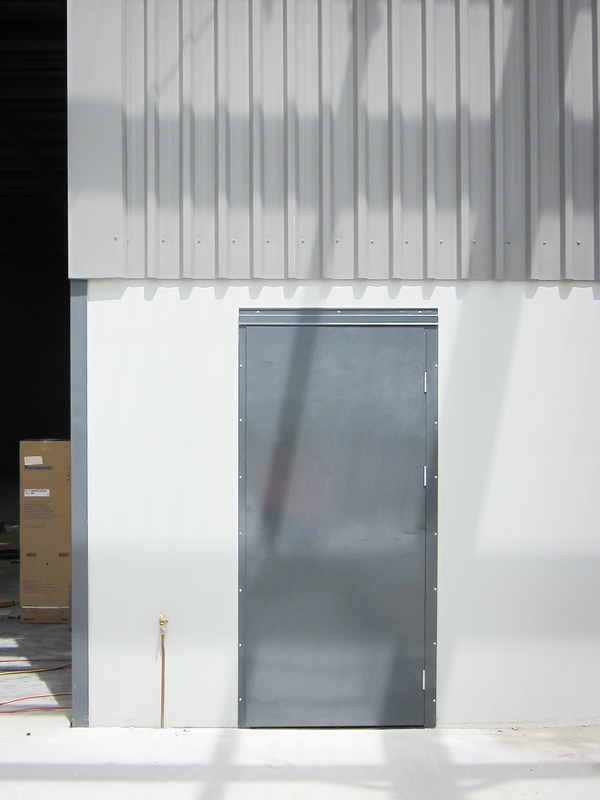 If a steel door architrave frame is required, it is made using steel angle material with a welded 38X25mm steel tube jamb. 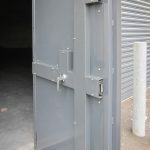 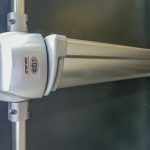 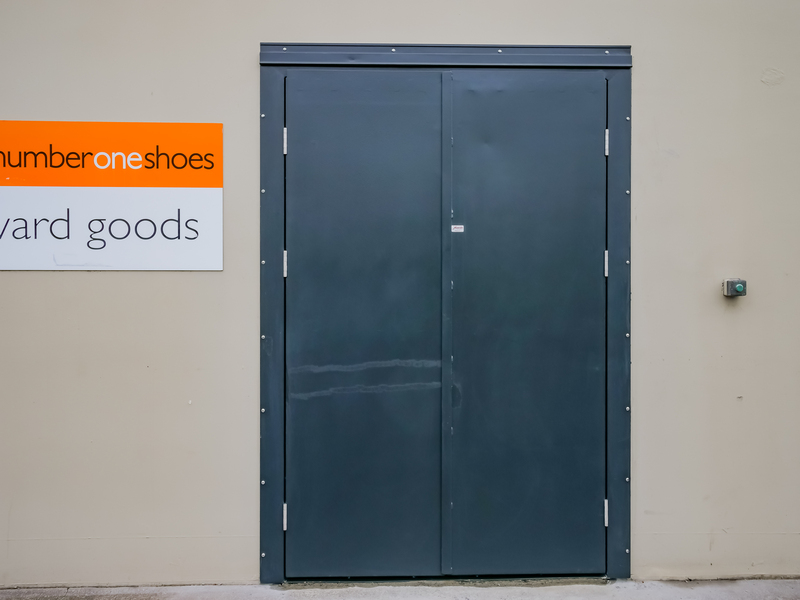 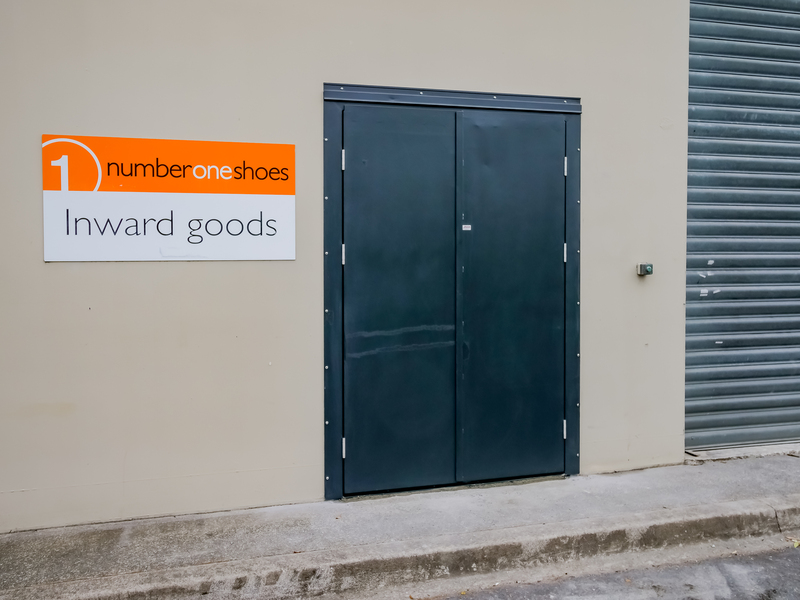 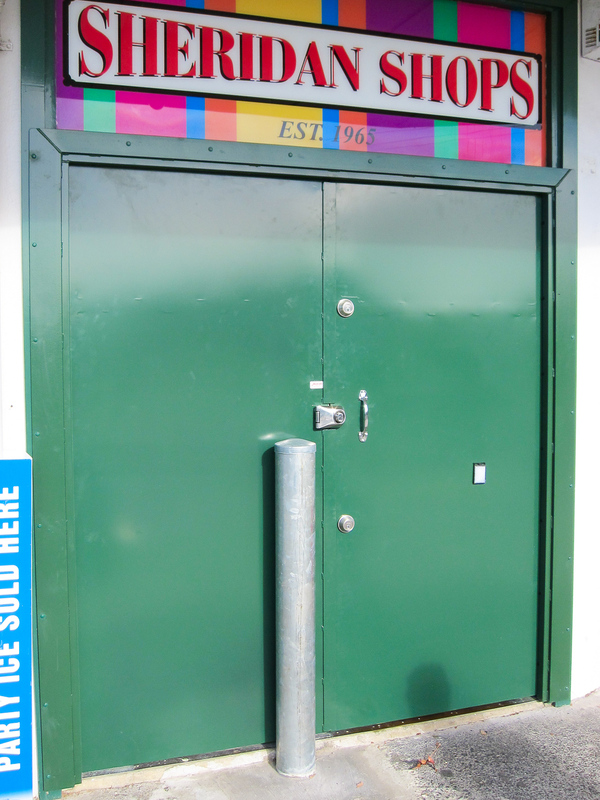 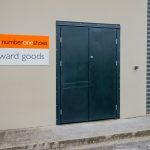 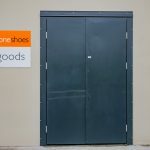 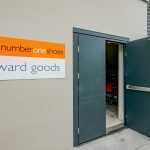 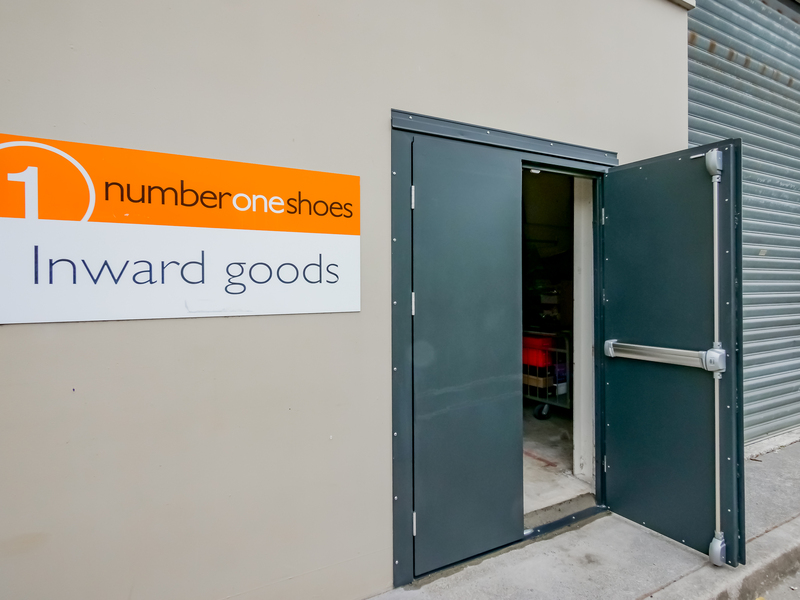 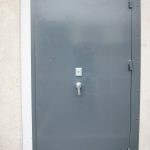 The steel door units can be fitted into existing blockwork or timber door apertures as all doors and frames are custom built. 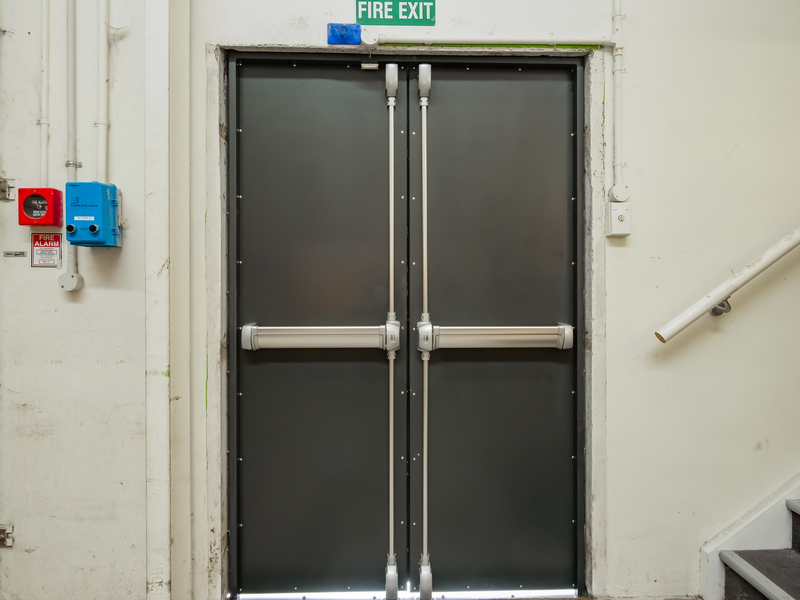 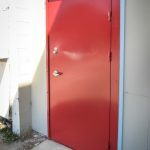 Doors can also be corrosion proofed.